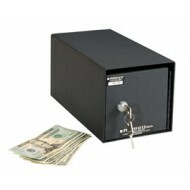 The Pro-20 depository safe offers you a quick way to get cash and checks out of site and into a secure space. 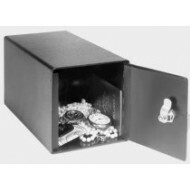 This depository safe is designed for horizontal installation only. It is pre-drilled for bolt down. The slot is 3/8" x 5 5/8. The instant you deposit cash, checks, and receipts through the convenient slot opening, PermaVault is on guard, helping to protect you against robbery and employee theft. Limiting exposed deposits helps prevent external loss, internal loss, and deposit variance. 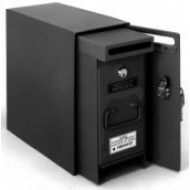 PermaVault depository safes can be placed in a convenient location wherever cash, checks, or receipts are handled.